Circa 1932-1942: Century pottery is a small line, consisting of less than twenty pieces. 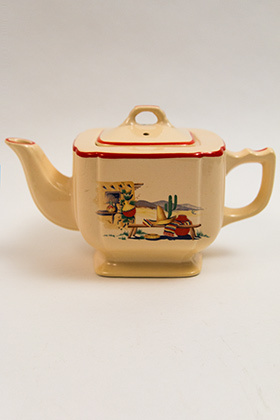 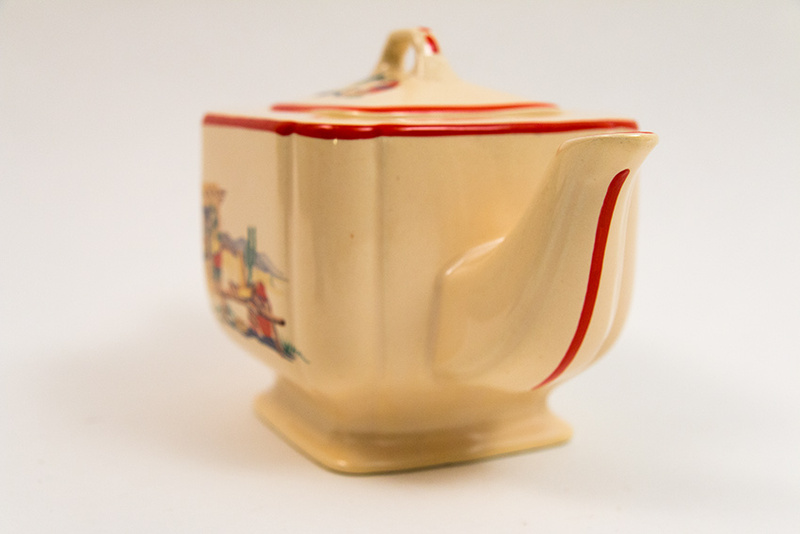 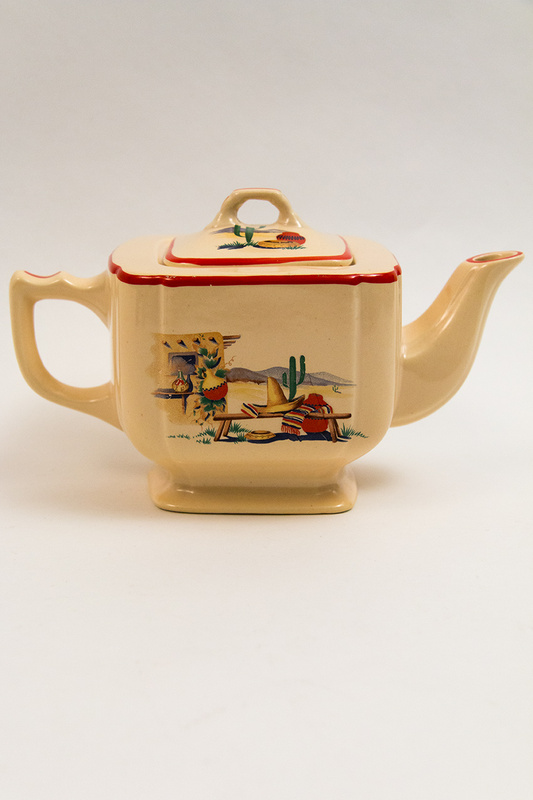 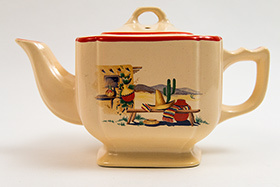 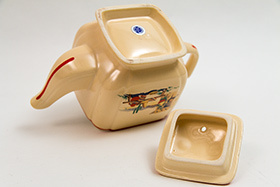 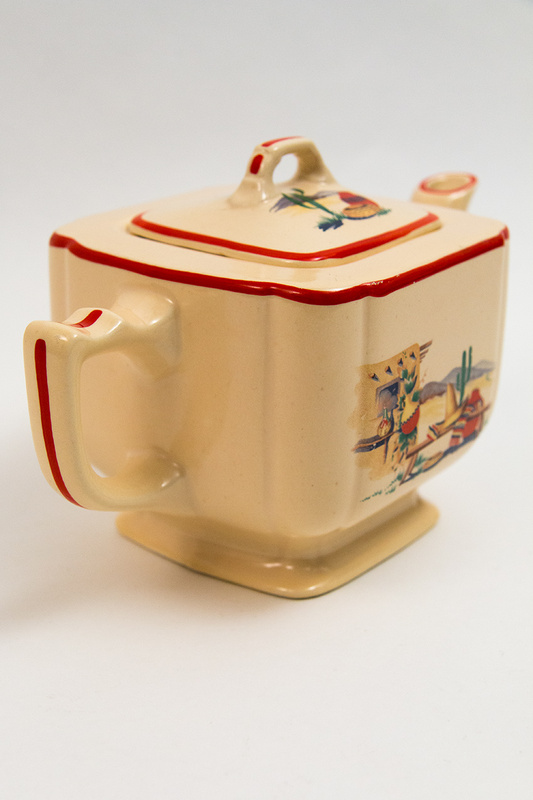 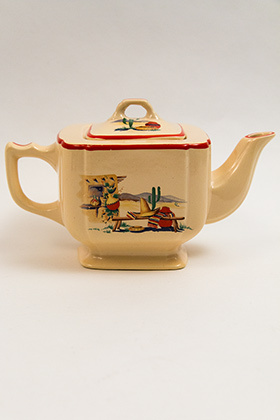 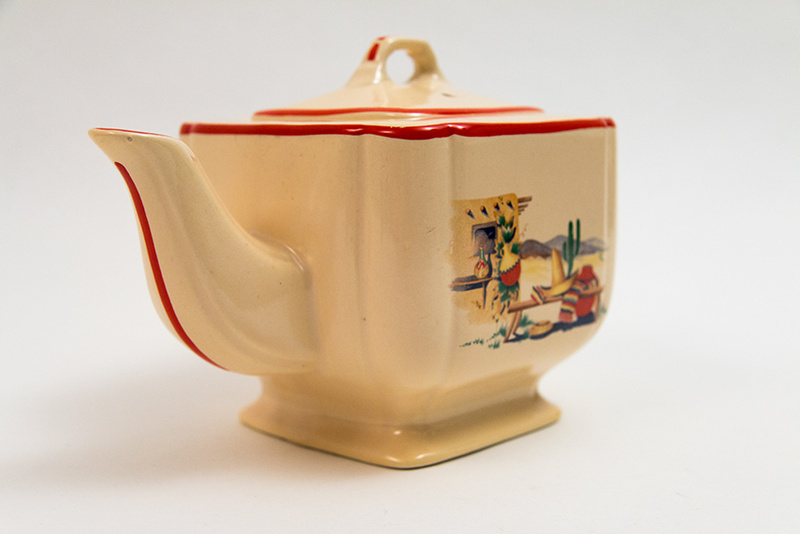 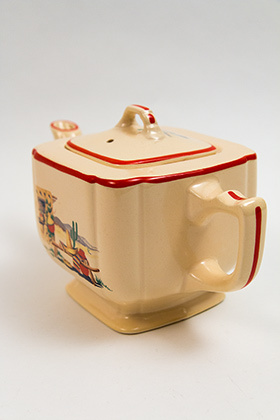 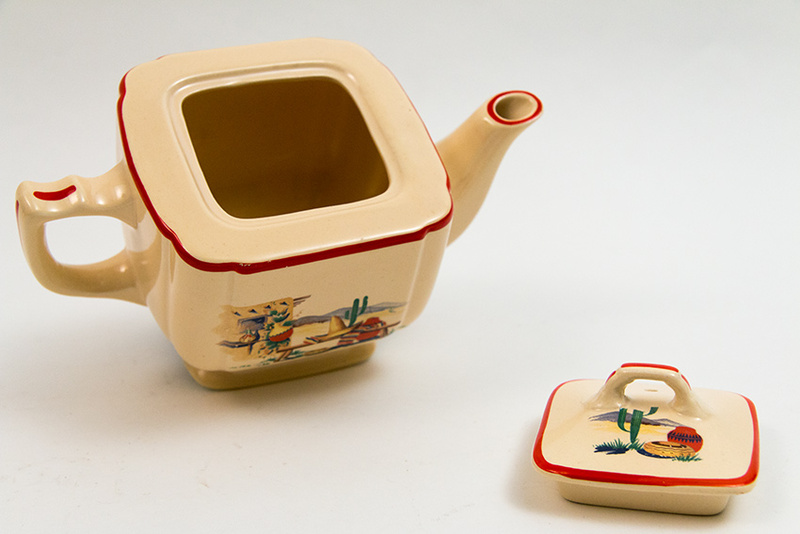 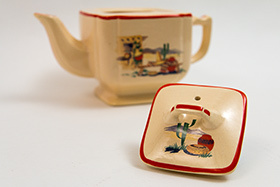 The teapot is one of the few lidded pieces and highlights the distinct stylistic elements of Homer Laughlins post-art-deco-era pottery. Square yet soft edges, scalloped corners, tab handles and minimal, yet dramatic, highlighted edges bring flare to this pottery shape. 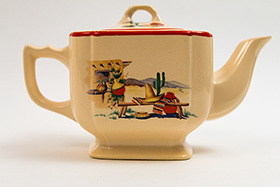 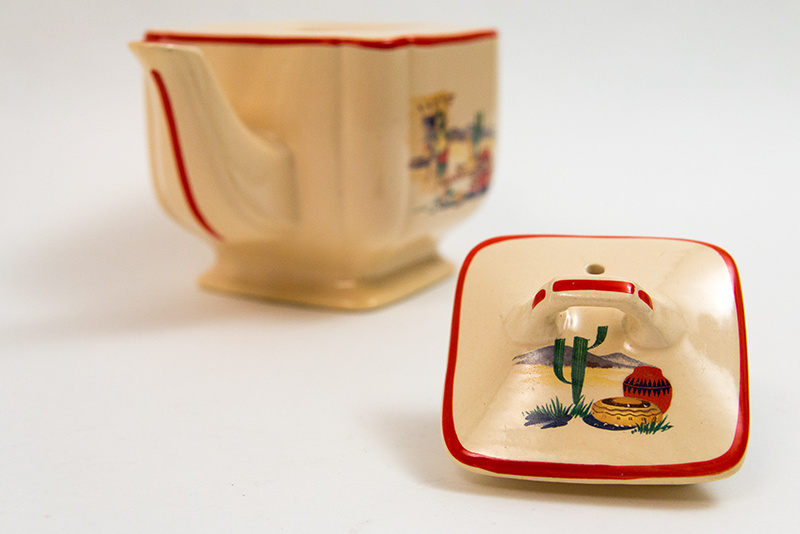 Add the hand painted red stripes and multiple sets of the Hacienda decals and you have a fantastic example of the pottery that defined an era. This example in the harder to find Hacienda decal, from the Richard Mayberry collection, is in excellent, unused shape, without damage or repair.